A very happy Wedding Cake Wednesday to you! Say goodbye to Br'er Rabbit because he's leaving his home in search of a little more adventure, a bit of fortune and his laughing place. 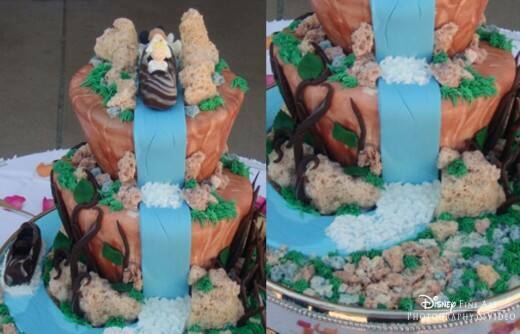 From chocolate logs to a fondant waterfall, this cake captures the essence of Splash Mountain in every aspect. 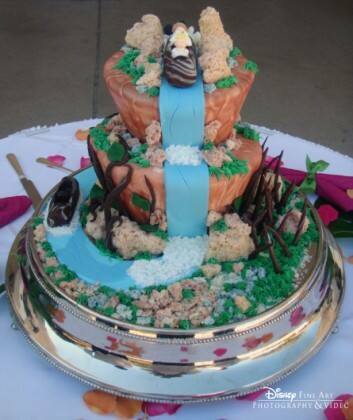 If this cake doesn't have you humming zip-a-dee-doo-dah, I don't know what will! Be sure to let us know in the comments below what cakes you'd like to see featured in an upcoming Wedding Cake Wednesday post.